Audi is a well-known automobile developer and manufacturer with four rings logo. Now Audi, headquartered in Ingolstadt, Germany, is a subsidiary of Volkswagen AG. The products include A1, A2, A3, A4, A5, A6, A7, A8, Q5, Q7, R8, RS series and so on. Its high-tech level, quality standards, innovation, and classic cars make Audi to be one of the world's most successful car brands. The design of Audi wheel rim is unique. It is five-spoke hollow wheel styles. In addition, the size stroke-day family tire is 255/35. The Audi wheel rim drive system of R20 is famous with Audi's Quattro. Wuxi Hengsheng Wheel Co., Ltd is a professional Audi wheel rim manufacturer and supplier in China. In addition to Audi wheel rim, we also provide other famous models steel wheels (rims) for our clients around the world, like Ford wheel (wheel for Mercury), Geely wheel (rim), Honda wheel (rim), Hummer wheels (rims), HYUNDAI wheel, Infiniti wheel, JEEP wheel, etc. 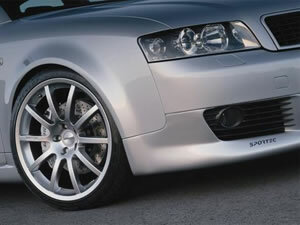 We possess a professional technology team to guarantee the manufacturing of Audi wheel rim. We will checkout all the products and give out a survey report. According to the needs of every client, there will be a dynamic balance sample survey among parts of the qualified Audi wheel rim.